I think there is a screwdriver at least in each family. A screwdriver amplifies the hand's turning motion to the small, specially designed tip that is inserted into the screw's head. 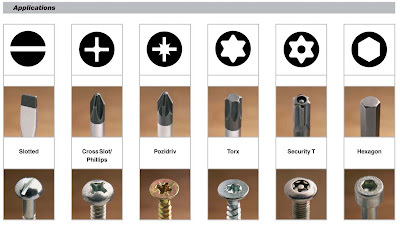 There are numerous tip designs for special applications (such as appliance assembly), but the two most common are standard (also called flat, flared, or straight) and Phillips (X-shaped) tips. The screwdriver handle can be of plastic or wood, sometimes with a rubberized cover to improve grip. 1. When using any tool, always wear safety glasses for eye protection. 2. Screwdrivers should only be used for their intended purpose—driving or removing screws. Screwdrivers should never be used for prying, punching, chiseling, scoring or scraping. 3. While both slotted and cross-slotted screwdrivers will fit many fastener sizes, it is best to use screwdrivers of the proper sizes that fit snugly into the slot or recessed portion of the fastener head. 4. 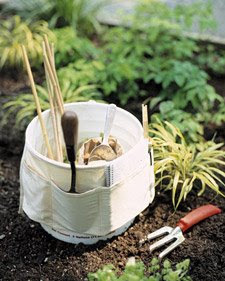 Plastic handles should be made of fire and heat resistant materials. If properly designed, they give excellent grip. 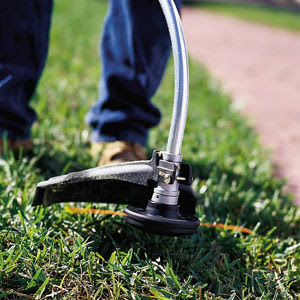 Rubber or vinyl is often used as a non-slip or insulating cover on plastic handles. 5. Typical screwdriver handles will not insulate the user from electric current. 6. It is time to discard the tool when the handle of a screwdriver becomes worn or breaks, if the tip is damaged or if the shaft is bent. 7. Always keep the screwdriver shank in line with the screw shank. This will avoid damaging the screw slot and pushing the screw out of line. 8. Never use pliers for added turning leverage on the shank of a screwdriver. However, a wrench may be used on square-shank drivers. 9. Screwdriver slippage can cause injury. Never hold the piece you’re working on in your hand while driving or loosening screws or bolts. Place it on a work surface and use a vice or a clamp to hold the material, whenever possible. 10. Never carry a screwdriver in your pocket. The tip of the screwdriver is so sharp and hard that will hurt your body. 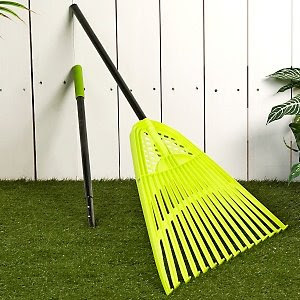 If you're an outdoor enthusiast and camping lover, then when you are camping, hiking, fishing, backpacking, canoeing, rafting, or just enjoying the outdoors, camping tool will enhance the fun and comfort of your outdoor experiences. 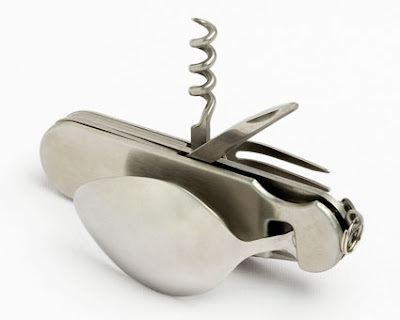 The above all-in-one tool combines six essential items-a fork, knife, spoon, bottle opener, file, and corkscrew into a single compact device perfect for camping and travelling. So you don't have to pack separate items and then have to search for them later when you need them. The classic camping tool's small size saves room, and is ideal for stashing in backpacks, pockets, lunchboxes, and glove boxes, so you'll always have your essential tools by your side. The fork and knife fold out to create a full handled version for easy eating, and the durable stainless steel construction will resist abuse. The classic camping tool is an affordable all-in-one tool. In one word, if you will bring along necessary tools for camping you will have a safer, more efficient and a much enjoyed camping trip.